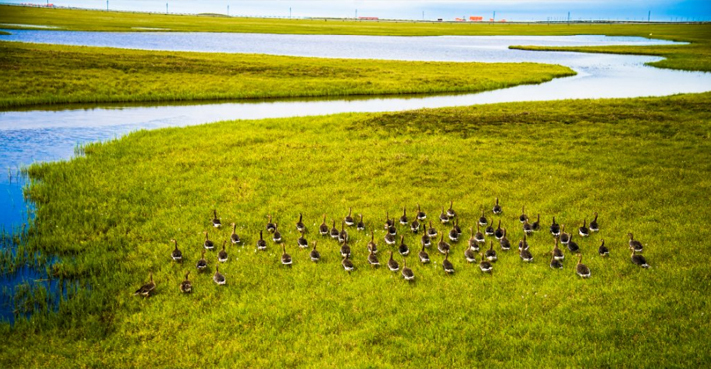 For well over a decade, ConocoPhillips Alaska has invested more than $6 million in the Spirit of Conservation initiative, a program designed to restore, enhance and provide access to Alaska’s key fish and wildlife habitats and populations. Through this program our previous investments have included Alaskans for Palmer Hayflats, Kenai Watershed Forum, Anchorage Waterways Council, Alaska Geographic Association, North Star Community Foundation, Pribilof Seabird Youth Network, and Anchorage Rotary Community Services, among many others. Previous projects funded have included $54,500 for the Mat-Su Butte Summit Trail Project, $25,000 for Mat-Su Salmon Habitat Conservation and $25,000 to the Mat-Su Salmon Habitat Partnership. Additionally, we have focused on youth education, including programs at Creamer’s Field in Fairbanks and through the Student Conservation Association.